We take a closer look at the world's first smartphone with the Snapdragon 855 chip. 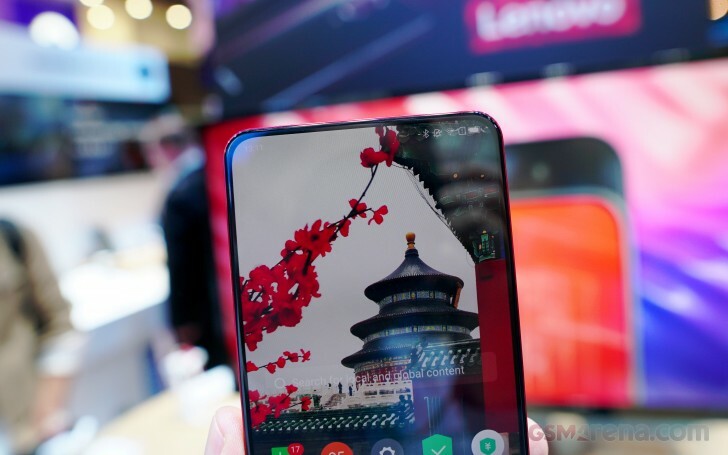 Back in December Lenovo announced the word's first Snapdragon 855 smartphone - the Lenovo Z5 Pro GT. The device has the same mechanical-slider design as the Mi Mix 3, revealed earlier by Xiaomi, but packs a lot more punch inside. And it's on sale in China since January. 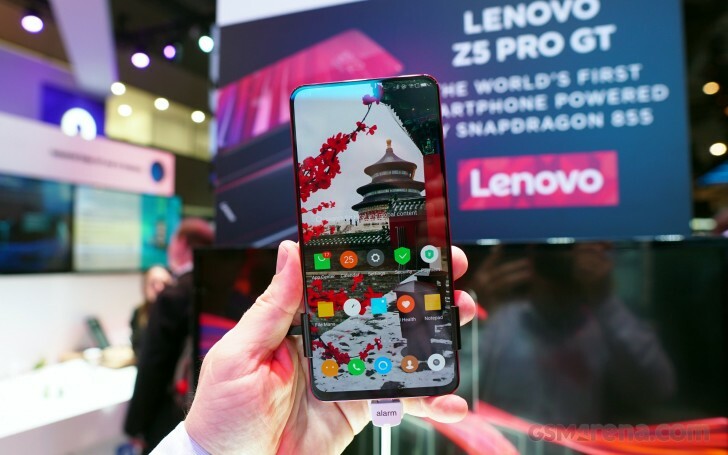 Currently the Z5 Pro GT is available only in China, but Lenovo has brought this flagship at the MWC in Barcelona, so we suspect a global rollout might be imminent. And it has a lot to offer, indeed. Aside from the innovative mechanical slider, the Z5 Pro GT has an almost bezel-less and completely notch-less 6.39" AMOLED screen of Full HD+ resolution. 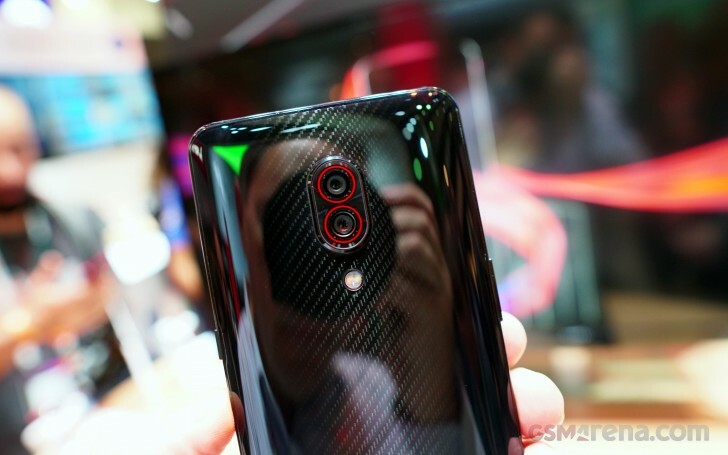 Sliding the screen reveals a 16MP selfie shooter with an 8MP helper. The Snapdragon 855 chip doesn't come with the new X50 5G modem and so the Z5 is "just" a 4G smartphone. If you insist on having over-the-top specs, you can get it with up to 12GB of RAM and 512GB storage. Chipset: Snapdragon 855 chipset, octa-core processor (1x2.84 GHz Kryo 485 & 3x2.42 GHz Kryo 485 & 4x1.8 GHz Kryo 485), Adreno 640 GPU. 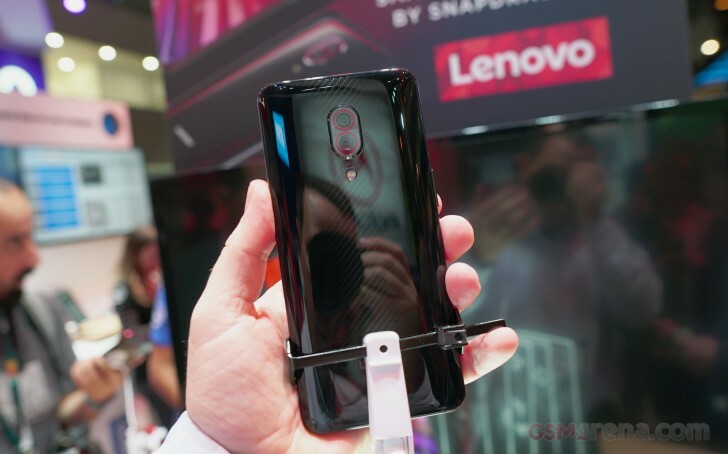 We found the Lenovo Z5 Pro GT at the maker's booth in Barcelona and you bet we snapped a couple of shots. 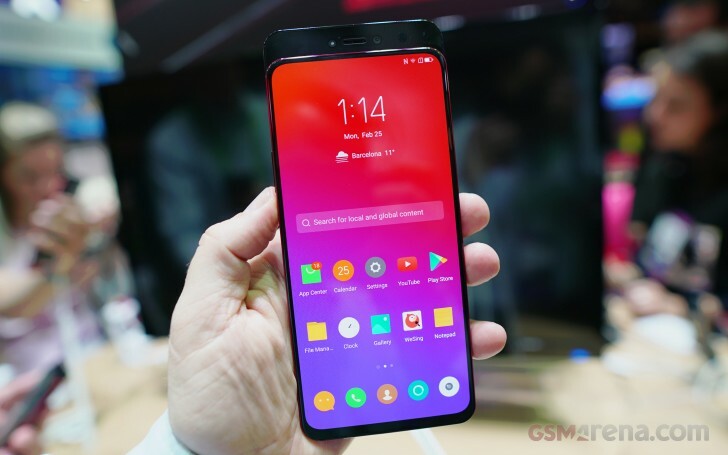 The Lenovo Z5 Pro GT isn't as premium as the Mix 3 - instead of ceramic, its back is made of glass. But it's one very beautiful glass with carbon-like pattern and changes its color depending on the available light. 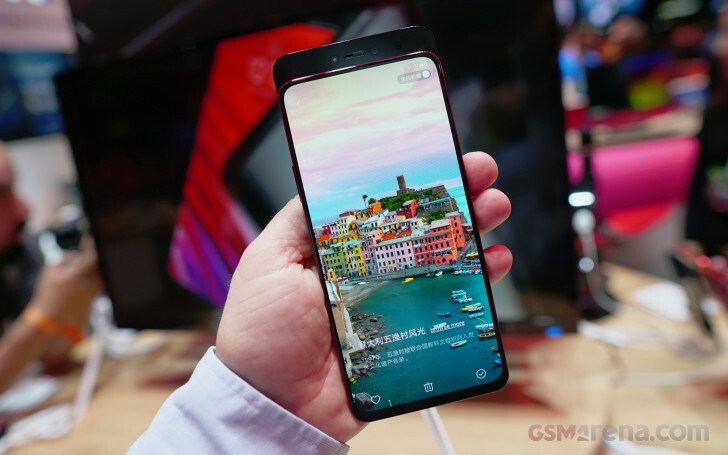 Just like on the Mix 3, the Z5's entire front is taken by the 6.39" AMOLED screen (probably the same panel, too). It's not bezel-less, but it's the most bezel-less thing you can get today. 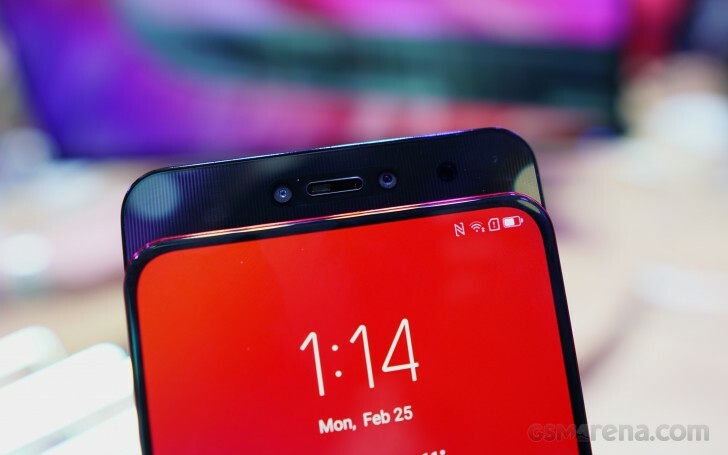 There is one very tiny chin at the bottom that keeps it to achieve even more impressive screen-to-body ratio. But there is one major difference. Unlike the Mi Mix 3, the Z5 Pro GT has its earpiece on the slider and there is no whole to let the sound through. So, if you want to make a call - it seems you have to slide the phone open. This doesn't seem like a big issue, but Xiaomi has found a way to avoid it. Anyway, the slider has the earpiece and around it you can also see the 16MP selfie snapper and the 8MP camera for face unlock. The latter comes coupled with an IR-illuminator for a more secure face unlock. But don't you worry, you don't have to slide the phone every time you want to unlock it. There is an under-screen fingerprint scanner for that, and it seems to work pretty fast. The face unlock is probably for when you slide to answer or make a call and then you won't be bothered to fingerprint-unlock the Z5 if you need it during or after the call. 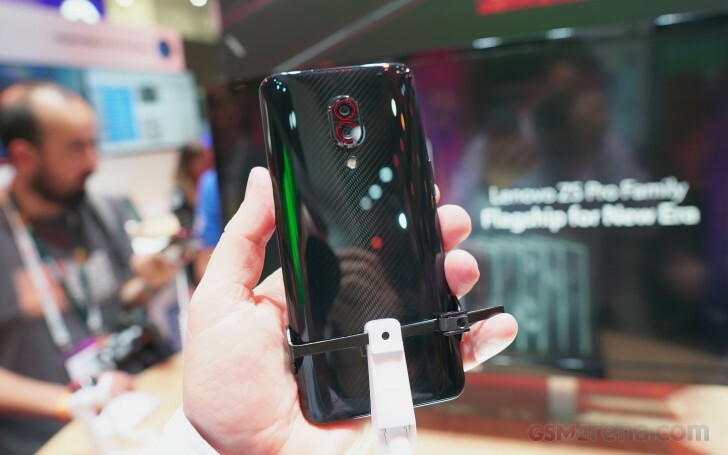 The Lenovo Z5 Pro GT has a dual-camera on the back and a dual-tone LED flash. The primary sensor is a 24.8MP Sony IMX576 with 0.8µm pixels, which does the same thing as the 48MP cams we met on a couple of Xiaomi phones - combines pixels via pixel binning and saves a high-quality 6.2MP image. In case you find this resolution not by your liking, you can shoot via the secondary 16MP Sony IMX519 camera, also behind f/1.8 lens but with bigger 1.22µm pixels. The 16MP snapper is also used as a depth sensor for portraits. The Lenovo Z5 Pro GT captures videos up to 4K at 30 fps, no 60fps available as on the Mi Mix 3. The Z5 Pro GT runs on Android Oreo with ZUI10 skin on top. This seems to apply for the unit on the MWC, too. But we hope Lenovo would bring Android Pie if it plans a global launch. They never will. I had one. Nice phone but the screen was shattered in the 2nd week from a 50cm drop. The weakness of this phone. Can't wait for the release of international version with google play , does anyone have insider news on this ?